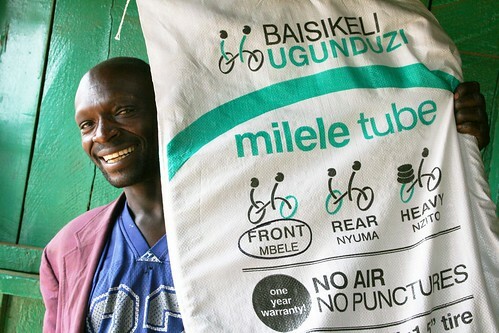 Pretus Wafula, one of our early customers, was thrilled to put Milele Tubes on his bike. 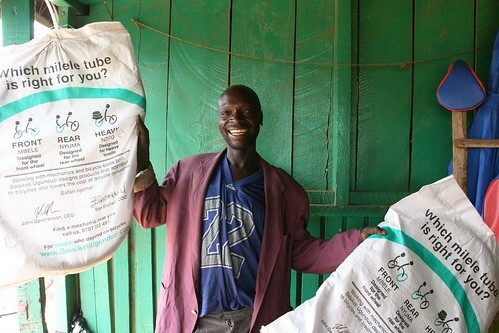 Working as a hauler, he brings wood from the Mount Elgon region to town (about 30 km). He is grateful to no longer fear punctures en route.